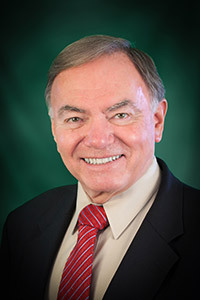 Eric founded Timberland Properties in 1971. In 1994, Eric joined the Coldwell Banker real estate family, a move that enabled Timberland Properties to offer the sort of services that only a top-flight, nationally connected company could provide. Today Eric manages the capabilities of the Coldwell Banker/Timberland Properties real estate sales engine utilizing his more than 30 years of personal experience. A long-time resident in the area, Eric has been active in many local organizations including having served as president of the Delaware County Chamber of Commerce. 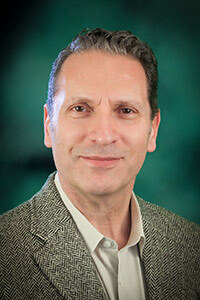 He has received numerous recognitions such as the Coldwell Banker "President's Elite" and "Top Producer" awards. He has been named the Delaware County Business Advocate of the Year, and he has received certificates of merit from both the New York State Senate and the New York State Assembly for his outstanding achievements in real estate in New York State. Eric received his BA degree from Boston University and his MBA from the University of Southern California and Adelphi University. If you wish to consult with him on your real estate needs, phone or e-mail him today. 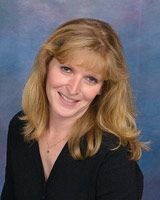 "YOUR LINK TO THE CATSKILLS"
Susan brings 18 years experience to Coldwell Banker/Timberland Properties in successfully matching real estate buyers and sellers . The Otsego-Delaware Board of Realtors have given Susan a Top Producer award every year since 1995. She was second in this group in Delaware County in 1999, and she ranked third in this group in a four county area including Delaware County in 2000 and 2001. In 1999, 2000, and 2001 based on her hard work and outstanding productivity, she ranked in the top 10% nationally and gained membership in Coldwell Banker's President's Circle. In 2002 and 2003 she was awarded Coldwell Banker Top Honor or Presidents Elite. A lifetime resident in the area we serve, Susan is friendly and outgoing, known for her willingness to go the extra country mile to serve her clients and customers. Phone or e-mail her now so that she can start working with you to sell your property or to find the home of your dreams. I became a Realtor-Associate in 1986 and a Principal Broker in 1999 when I opened Country Roads Real Estate. In 2008 I obtained a dual license so that I could also work with another local broker and then I moved to Coldwell Banker Timberland Properties in 2013 as an Associate Broker and Office Manager. As a member of the National Association of Realtors, New York State Association of Realtors, the Ulster County Board of Realtors, as well as several Multiple Listing Services, I am most familiar with the trends and opportunities in this region, and I look to serve my clients with the utmost of personal attention. Providing the highest standard of individualized service is one of my priorities and a standard that you - as a client and customer- can count on. Choosing a Realtor can be a difficult decision, but I hope that I have made the process of buying or selling a home easier for my clients and I look forward to helping new clients through that process as well. From a week-end getaway to a ski or vacation home in the Catskills to a great home in Woodstock or a large traditional home in Uptown Kingston - I can guide you through the process and take you home! You can contact me by email: joanroberts@timberlandproperties.net or call my cell phone 845-853-9095. Or call me in the office 845-657-4177 Ext. 301. I look forward to meeting you and working with you! It's a great time to Buy...if you know where to look! My first visit to Delaware County was over 25 years ago...and it was love at first sight! Working as a top marketing executive in New York, I found the Beauty and Seclusion of this area a welcome relief to my hectic and demanding schedule of Manhattan, and almost immediately set up "roots" in the lovely and quaint hamlet of Bovina. After 25 years of traveling back and forth, I decided to switch my full time residency to my Home here in the Catskills. In 2000, I acquired my NY State Real Estate License and have since achieved measurable success by combining my "corporate" talents of: outstanding service, detailed follow thru and a high level of commitment. But...let's move on from my qualifications to why you are looking at an Upstate New York Real Estate website! Believe me, I get it...in fact, I live it! You want to wake up in the morning and hear the birds chirping (not a taxi honking)...sip your morning coffee on your porch or deck (not wait on line at Starbucks)...look out to our magnificent Catskill Mountains (not up to skyscrapers)...and discover the startling Pristine Water that our area has (thanks to the Watershed). This is a much-needed place to flex your stress-weary bones. Play Tennis, a round of Golf, hit the Ski Slopes at Plattekill and Belleayre Mountains, go Horseback Riding, try Fishing, buy a Snowmobile or ATV...hey, just breathe some fresh air! Enjoy all the amazing activities that we have here in the Country...including our Farmer Markets, Great Restaurants, Galleries, Theater, and Summer Concerts at Belleayre. And, Discover as I have, the gift of sharing it with your children, family and friends. So...please contact me. 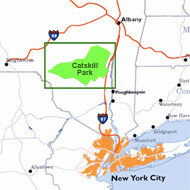 It would give me great pleasure to introduce you to our hidden jewel…the Catskills! I'm the Real Estate Agent who will earn your confidence and respect by delivering the skills, with the experience and knowledge of the Upstate Catskills area, to professionally address all of your Buying and Selling needs! Please call Carol Spinelli by appointment only: 607.832.4254. Stay and Play in Delaware County New York - 2013 from VeccVideography on Vimeo. "We had been searching for a second home, when we connected with Carol. She spent a lot of time, before we met, to have a clear picture of our needs. Her thoroughness was quite refreshing! After our purchase, Carol continued to be a tremendous community resource. We were lucky to have Carol as our agent and would recommend her – in fact we already have several times!" After my first visit to the Catskills over 13 year ago, I knew this was a special place. I fell in love with the clear streams, the stunning vistas, the fresh air, the verdant mountain foliage and the peaceful, unhurried pace. I came up here one summer and purchased my first home. After 10 years of being a week-end home owner I made the switch from “part timer” to “full timer”. Having traveled to over 40 countries, I am always happy to come home to Andes and the beauty that is the Catskills. With more than 20 years’ experience in Sales & Customer Relations with a prestigious international airline, I bring a wealth of knowledge in understanding peoples needs, desires and motivations. Having bought, sold and renovated numerous properties over the years, I bring a personal, practical knowledge of real estate dealings. My attention to detail, patient easy going but energetic nature, and a sincere desire to help people make me the agent of choice. Whether you are selling or buying a home I would love to talk to you. Give me call, let’s talk! I first visited the Schoharie / Delaware County areas of the Catskills almost twenty years ago when my brother relocated to the area. I grew to love the landscape and the setting of the upstate region. After several visits I made the decision to relocate my family from Long Island to pursue a dream for a better quality of life. That was over 14 years ago and the Catskills became home to my children and me. We continue to enjoy the serenity and beauty as well as the lifestyle the community offers. To live in the Catskills is to know a tranquil way of life, away from the hustle-and-bustle of living in an urban or even suburban community. The Real Estate business eventually became my career choice. I have been told my strengths as a Real Estate Agent are my integrity and honesty as well as putting people at ease. I enjoy meeting new people and the excitement of helping them find the property that suits their needs. It is satisfying to be able to match people to the property they desire, and I will go the extra mile or two to accommodate anyone whether they are buying or selling. I have over eight years of experience in residential, commercial and land sales. If you have property you wish to sell or you are looking for the property you've thought countless times about owning, I look forward to hearing from you. riends introduced me to the Catskills in the early 90's. As my visits became more frequent I was won over by the effortless charm of the villages, the amazing landscapes and the genuine inhabitants. Having worked for over 20 years as a design director for fashion apparel companies, I decided to expand those talents to designing and building my own home. In 2004 I purchased land in Bovina; worked with local excavators, contractors, engineers and landscapers and as a result became even more entranced with the area and the people. The process and results were so rewarding that I decided to change my life, live full time in the Catskills and become a Real Estate professional. 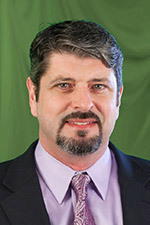 Sean O'Shaughnessy is a Licensed Real Estate Salesperson with Coldwell Banker Timberland Properties and works out of the company's Margaretville, NY Real Estate office. I understand the meaning of service and success. With many years of experience in the retail and the construction world, and as a business owner, I possess the edge one needs in this fast-moving world of commerce. A native Londoner, and a well-traveled person, I utilize my experiences with the public to help determine what clients and customers alike expect when they are seeking Upstate Land in the Gorgeous Catskill Mountains. I feel that professionalism and a good attitude are keys when assisting customers. These are traits that I always demonstrated in my previous careers and I have carried those qualities to my Real Estate profession. I began calling these Catskill Mountains my Home when I relocated here with my family more than a decade ago. Living in these Beautiful Mountains gives me a keen understanding of what brings people to this Pristine Region. My husband Bob and I moved up to the Stamford area more than 32 years ago. We both grew up in Nassau County on the North Shore of Long Island and found it too hectic even by the mid-70’s. We visited friends in the area and were instantly “sold” by the serenity and beauty of the area, and even more so by the value and quality of the home we were able to purchase. We feel privileged to have raised our two sons in such a pristine, farming community. I still believe this quality of life and value holds true today, in an area just a few hours from Manhattan. Even though my degree is in Early Childhood Education, for the past 23 years I have been in real estate and love listing and selling. I have a passion for the decorative arts, local history and vintage homes - I truly love my job! Jill Odgen is an Associate Broker with Coldwell Banker Timberland Properties and works out of the company's Delhi, NY Real Estate office. I grew up in this area and, after leaving briefly to go to school to earn my Bachelor's & Master's degrees, had to return to Upstate NY. My goal is to assist others who wish to become part of this Catskill Mountain lifestyle and enjoy the Scenic Mountain Vistas, Fresh Air and Clean Water. Our Great Upstate NY Recreation includes Skiing, Fishing, Hiking, Hunting, Camping and much more.Rejuvenate and Discover Peace and Quiet, Fresh Local Food, Art Galleries and Country Shops. I am a full-time Associate Broker, but besides selling Catskills Real Estate, I enjoy spending time with my family. With its Recreational opportunities and numerousEntertainment events, there are always ways to create great memories here.Delaware County, NY is a wonderful place to raise kids and there are many good things to come. I volunteer with community groups, such as the Greater Delhi Chamber of Commerce and as a chairperson for Habitat for Humanity. These groups are continually improving the community. If you're looking to purchase a Catskill Mountain Property I am ready to help — whether you are seeking a parcel of Vacant Land and or a Vacation Home just 2.5 hours from the metro area. Having been in the area over 20 years, I am a great source of information for everything local. I am also certified as a Second-Home Property Specialist, so if you are looking to purchase, I want to know what your desires are for thatProperty. I can help with your needs, no matter if you're looking for a Full-Time Home, Weekend Getaway, Vacant Upstate Land for Building or Recreation, or if you're in the market for an Investment Property. Please fill out my buyer preferences survey at: www.catskilljill.com/survey.html. I will do a search of all Catskill Upstate Area listings for you and let you know when new properties come on the market. I promise to work diligently to help you get your dream Property. "As a first-time homebuyer in a volatile market, I was terribly nervous about the process. Jill Ogden was there to help every step of the way. Jill took the time to find out what was truly important to us in a Property and guided us towards gems every time. Throughout all of our negotiations and all the way through closing, Jill went far above and beyond to make sure that I understood the process and was able to navigate it smoothly. 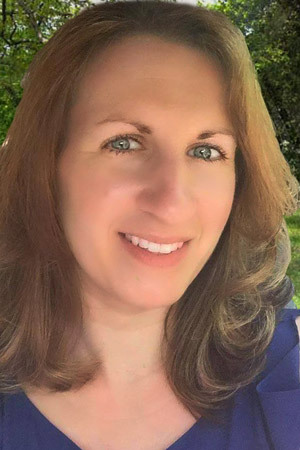 Christine O'Shaughnessy is a Licensed Real Estate Sales Agent with Coldwell Banker Timberland Propertiesand works out of the company's Margaretville, NY Real Estate office. All it took was a trip to the Catskill Mountains more 10 years ago to convince my family to make the wise decision to make this special area our home. As a native New Yorker, I understand the meaning of Service and Professionalism. Having left the hustle and bustle ofManhattan provides me with an even better insight as to what customers are seeking. It has truly been satisfying working in this industry and making people's Buying or Selling needs smooth and efficient. Sharing and showing off Catskill Mountain Property has been a joy — and an easy task at that. So, if you are looking for a piece of the dream, please get touch with me. I will listen to your Real Estate needs and provide you with the Upstate NY area information and service you deserve. Bill Miller works out of the company's Delhi, NY Real Estate office. Real estate has always been an important part of my adult life! Together with my wife, Liz, we’ve been purchasing, improving, and selling homes since the age of 22. As we progressed, we began constructing and managing properties in the Cooperstown region. The “how and why” we came to build in Cooperstown began when my parents uprooted our family of 7 children from Long Island, NY and moved us here when I was 5 years old. The subsequent 13 summers spent on, in and around Otsego Lake formed in me an idealistic view of “the perfect place to live”. Shortly thereafter, the acquisition of perhaps the last commercially developable lakefront property on Otsego allowed me to undertake building the region’s first, luxury lakefront enclave, ArrowHead Pointe. Alex Sharpe is an Associate Broker with Coldwell Banker Timberland Properties and works out of the Boiceville Office. I grew up in the Woodstock Area of the Catskills and left only to go to college in Maine and to serve four years in the United States Air Force. I returned to the Catskills after being honorably discharged from the Air Force. My Goal is to help people find the enjoyment of the lifestyle that the Catskills offer. Mountain Vistas,clean air and water, Black Sky's at night that let you see the universe like none other, Recreation: Golf, Skiing, Fishing, Hiking, Hunting, Camping and Kayaking, Art Galleries, Country Shops, Theater, both inside and outside, great restaurants and fresh local produce. If you are looking to purchase or sell property I'm here to help. As a life long resident of the Catskills I'm a great source of information for everything local to the mountains. Please call or send an email to me with all your needs. I will do a search of all of the Catskills and surrounding areas to find properties for you and also let you know when something new comes on the market. If you are looking to sell your property you have come to the right place. We sell and market property like no other Real Estate Agency. Stacy relocated to the Catskills with her family back in the early 1980's from the Albany Capital District area. She joined the Coldwell Banker Timberland Properties team in 1996 after a near 20 year experience in the petroleum business. She so enjoyed the quality of life in the Catskills she wanted to find a way to share the wonders of the mountains with others while enjoying making a good living at the same time. It's obvious the real estate life is for her, she enjoys what she does and she's not afraid to tell you. What's worked for her, doing business the old fashion way, with honesty and effort! Back in 2001 she received her associate broker's license and throughout her career Coldwell Banker has honored her with the Sterling Society, Diamond, & International Presidents Circle Awards. Each year with the company Stacy has been honored with a "Top Producer" award by the Otsego-Delaware Board of Realtors. A high energy individual, in her spare time could be found downhill skiing, riding her bike, golfing or working in the gardens at her Roxbury home she shares with her fiancé John. Each and every buyer and seller will be treated with the same level of professional service and respect they deserve. With the addition of a home office Stacy's able to service her customers and clients 7 days a week. Looking to buy or sell property within the Catskill Mountain real estate market of Delaware, Ulster, Schoharie and Greene County, then don't hesitate to give her a call. Stacy will be happy to help with any of the listings on our sites. Or for that matter, inquire with her about any brokers listings and she will go the extra mile. Two guarantees: Honesty and Effort! Writer/Filmmaker Reginald Oberlag knows the Catskills inside-out. As the Catskills Film Commissioner, his extensive knowledge of the region is tapped by movie and ad agency producers seeking scenic film-locations. This experience can work for you in finding the right location for your country home or business too. The estate Reg arranged for moviestar Christian Slater to occupy during a local film shoot was later sold to Frazier’s TV star Kelsey Grammer. His connections benefit buyers and sellers alike. Reg is also glad to share his in-depth regional insights from many years as a journalist covering the Catskill Region and developing the Catalyst Catskills regional economic development plan through his Manhattan-based consultancy Watershed Communications. Twenty years ago, seeking a natural balance to his Manhattan East Village lifestyle, he found his writers-retreat cabin in the Catskills and later designed and built his own artists retreat on Old Clump Mountain, the stomping grounds of famous naturalist John Burroughs. Seeking to preserve the beauty of our Catskills, Reg also serves as President of the John Burroughs Rural Preservation Society and he is a co-founder of the Farm Catskills! farm-preservation effort. Reg is available to meet with you in New York City or the Catskills at your convenience. Janet and Ray have quickly earned the reputation of delivering outstanding service to their customers and clients-service so outstanding that it's outrageous! Whether it's preparing meals, picking up pets at the airport while their owners are moving cross-country, arranging for a local charity to take house furnishings, or helping find employment, Janet and Ray extend themselves to assist their clients and customers. Both are actively contributing members of the community. Ray is a former president and CEO of the Delaware County Chamber of Commerce, and a past president of the Delhi Chamber of Commerce. He has been recognized by the Youth Bureau for his involvement with young people. Janet works in a special education classroom during the school year. They are active with their local Boy Scout troop and are involved with several ministries at St. Peter's Roman Catholic Church in Delhi, including Youth Ministry, music, and Knights of Columbus. Janet and Ray will share their extensive network of local contacts and enthusiasm for the Catskill Mountain region with you to help you meet your real estate needs. Call or email them today and experience truly outrageous service. Sandy Sheradin has been part of the Delaware County real estate professional community since 1985. 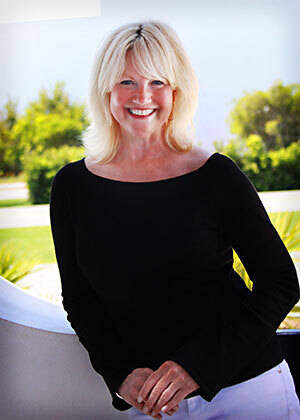 Working as an appraiser as well as the Broker-Owner of her own agency, Sandy is well known throughout the region for her dedication to the profession and commitment to high standards. 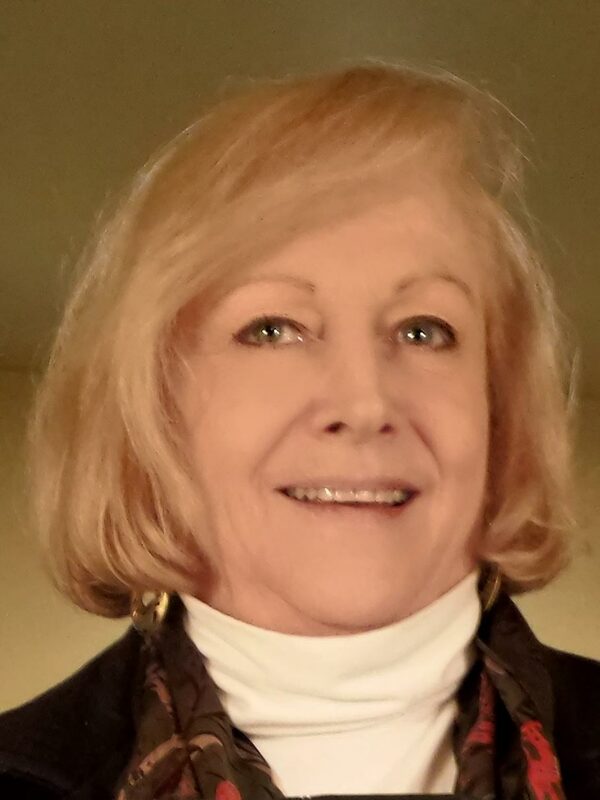 Sandy recently joined Coldwell Banker Timberland Properties as an Associate Broker, and will bring her expertise to the larger Catskill Mountain area. Sandy, her husband Gale, and their five daughters moved to Delaware County in the mid-1970’s expecting to spend only a few years in the region. They soon were captured by the strong sense of community present here as well as the beauty of mountain and river valleys. Sandy and Gale are both long-time active contributing members of the local social and civic community. Contact Sandy at 607-865-4811 or email her at sheradin@timberlandproperties.net and start living your Delaware County dream. John Tufillaro, first came to the Catskill area to visit a friend that had just bought her weekend getaway and immediately felt as if he was home. Within two months he found his own piece of beauty in the mountains...that was nearly 15 years ago. It was an easy transition for John to make the change from a career of over 18 years working as the creative director, for a leading company in the home furnishings industry, bringing with him his knowledge of architecture, interior design and marketing to selling real estate. Recognized as a Top Producer of the Otsego/Delaware County Board of Realtors and number one in service within Coldwell Banker Timberland Properties... he will deliver the skills and knowledge of the area to address all of your buying and selling needs! Tracey is a lifelong resident of the beautiful Catskill Mountains. Her real estate career began in 1994 in Delaware County, NY. 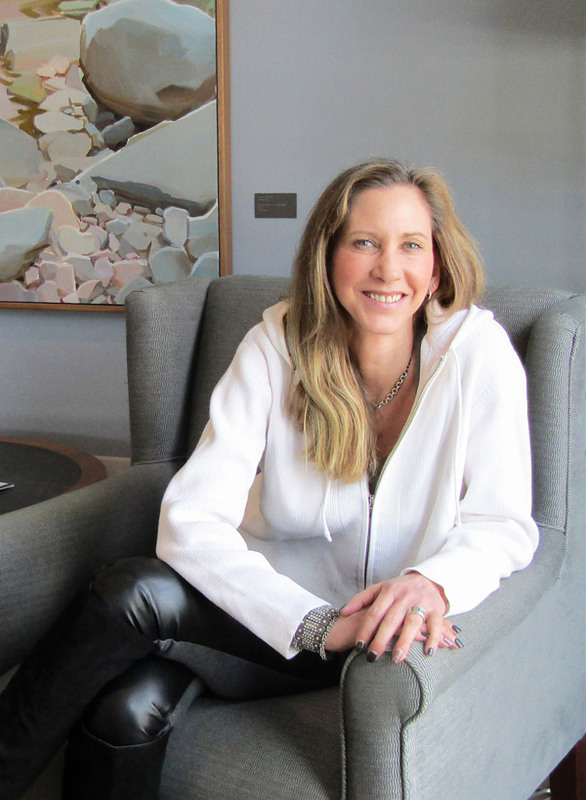 After the birth of her first daughter Tracey moved back to her hometown and spent several years working as an Associate Broker in the heart of Woodstock. Assisting people in selling and buying real estate is an exciting process and Tracey uses her creativity, extensive knowledge of the area, and her desire to help people achieve their dreams on a daily basis. Tracey holds a Bachelor of Science in Marketing and enjoys putting that knowledge to work for her clients. Building strong relationships with her clients by listening carefully to their needs is the cornerstone of her success. She is a member of the Ulster County Board of Realtors, Ulster County MLS, New York Association of Realtors and the National Association of Realtors. Tracey has four children. She is an advocate for Ethical Adoption practices and International Adoption. "International Adoption has truly changed my life and I am blessed." Three of Tracey's four children are from Southeast Asia. Tracey lives in the breathtaking Catskill Mountains. 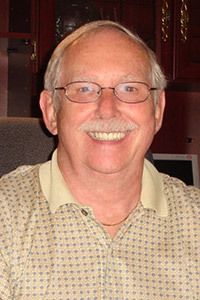 A life-long Catskill Mountains area resident, Kevin graduated from Margaretville Central School in 1968. He pursued a BA from Drew University,Madison, NJ, receiving his degree in 1972. Kevin has spent the last 25 years in various marketing and sales positions before turning to a career in real estate. Kevin joined the Coldwell Banker/Timberland Properties team in 1993 where he has consistently been awarded Top Producer by the Otsego-Delaware Board of Realtors. He was also honored in 2000 with induction into the Coldwell Banker International Diamond Society in recognition of his outstanding achievements in sales. If you wish to work with Kevin benefitting from his thorough knowledge of our area and its many amenities and by his effective and straightforward approach to sales, phone or e-mail him today. Melissa has lived most of her life here in the Catskill area. She obtained a degree in Parks and Recreation Management which prompted her to open 2 health clubs in the area. Having been self employed for 14 years she decided to enter into real estate part time. Part time didn't last long when Melissa recognized her passion for the field. Melissa loves working with people and making things happen. 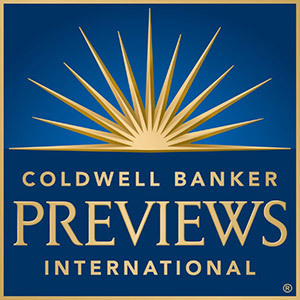 Melissa helps make the team at Coldwell Banker contributing to one of our top producers. Melissa also serves as vice chair to the Delaware County Chamber of Commerce. This is one of the reason's she works so hard to make Delaware County a destination point .Melissa has a strong sense of well being in the community. Melissa also owns several commercial properties in the area. So if you need an agent to make it happen call Melissa at 607-746-7400 ext14. As a life long resident of the Catskills I understand what draws people to our beautiful area. I have always loved this region and all it has to offer. I grew up in the charming town of Andes and currently reside in the historic town of Roxbury. I truly believe this area has something for everyone, and I am proud to call it home. Being a lifelong resident I know the Catskills in and out. If you are looking for a luxury log home on 20 private acres, a small cabin retreat, or even a grand village Victorian, I know the home for you. I want to make your dreams of homeownership in the Catskills a reality. Growing up in Trout Town USA (Roscoe NY) I developed an appreciation for the area's fish and wildlife, the flowing waters and natural lakes, the clean air and skies as clear as can ever be imagined. In fact early in life I thought this was all normal…only one word explains it. Jaded. Pursuing a higher education, working and traveling throughout the country, ultimately marrying and starting a family, I have come full circle. I now live and operate the small farm that has been in my family since 1847 focused on sustainable rotational grazing to produce healthy grass-fed animals while sequestering carbon in deep fertile soil. Here I raise my family, surrounded by the purest air and water in New York State, all within easy driving distance to the greatest city in the world. Through strong family roots, all that is the Catskills runs through my veins. I fully embrace the fact, fiction, and folklore of the region and am proud to call this home. As a dedicated professional with knowledge in local history, agriculture, recreation, flora and fauna, united with knowledge in custom home building and remodeling, I can help guide you to your most ideal real estate situation. Whether buying or selling for the first or fifth time, I will bring a fun, enjoyable, educational and most importantly professional experience to your next real estate transaction. If you have made it this far, I would be pleased to guide you the rest of the way to making this truly magnificent region your home too.